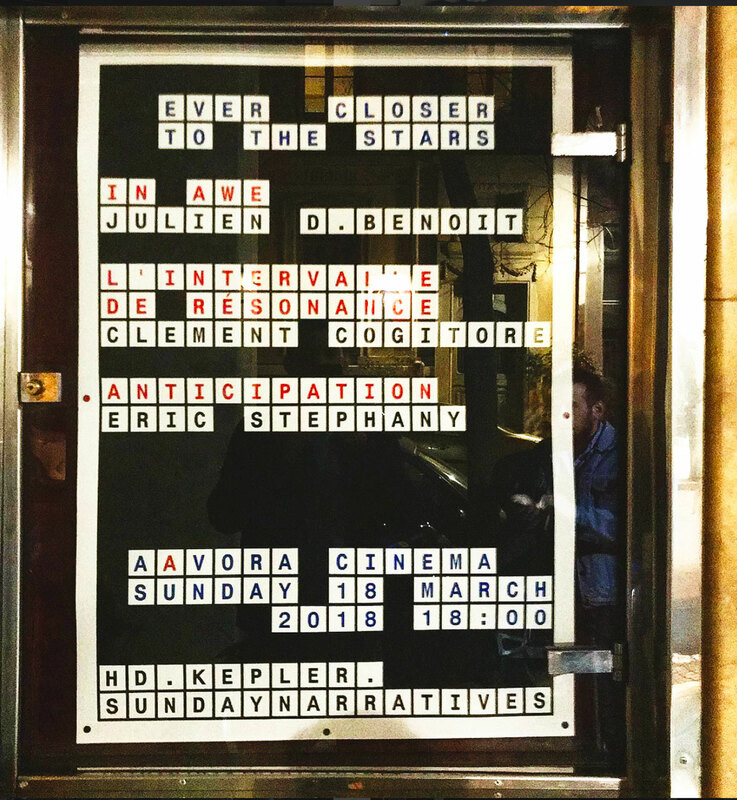 Poster design for a cinematic event organized by Sunday Narratives and the art & research platform hd.kepler. 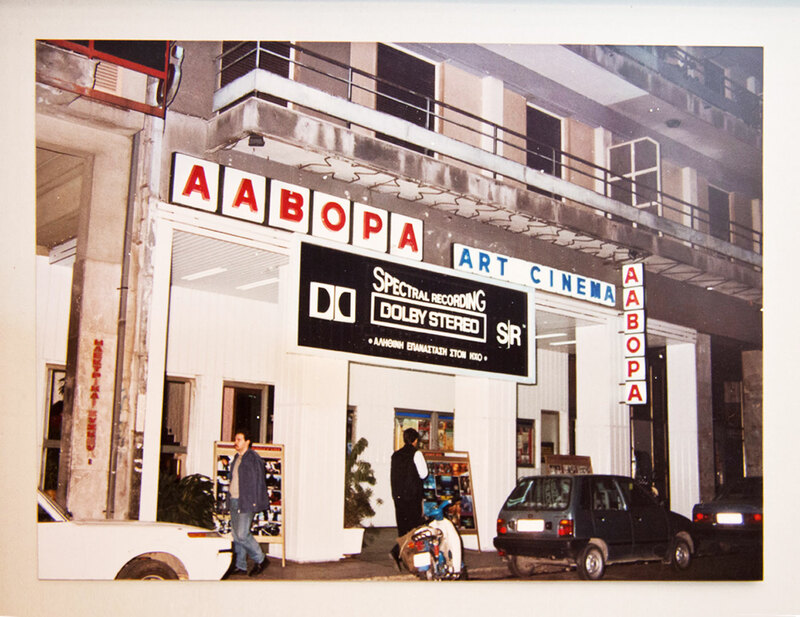 The screening took place in the legendry Athenian art cinema AAVORA (Ααβόρα). The design proposes a time travel by alluding to the cinema’s facade in the glorious 80’s. 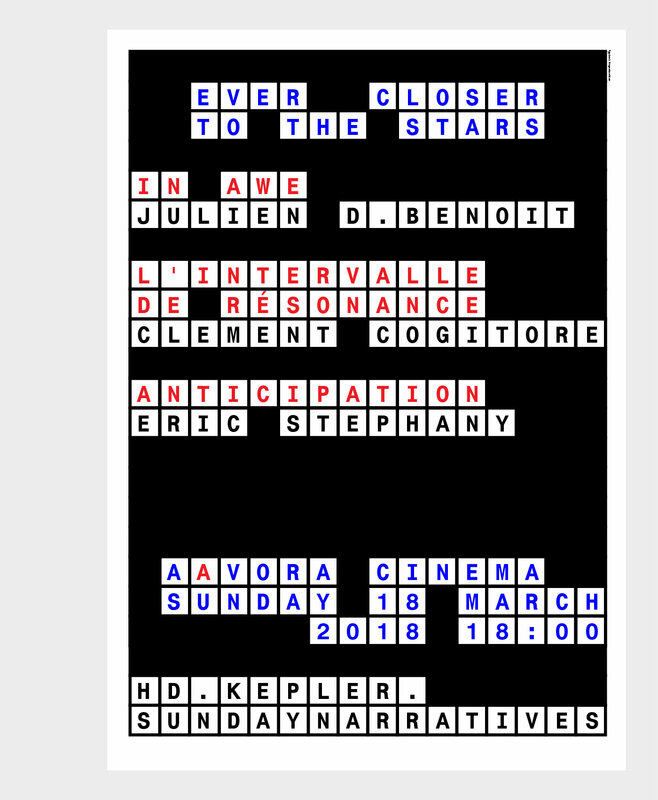 (see image below) By use of the square based grid a cosmological typographic play is initiated addressing the overall title of the event: “Ever Closer to the Stars”. Poster in exposition by : Eric Stéphany.